Email is almost as old as the Internet itself. With 4.3 billion global email users, email has become almost as ubiquitous as the Internet itself. It’s popular with patients too, having almost universal daily usage. Over 91% of all US adults checking their email accounts each day, just a few percentage points behind the number who check their physical mailbox each day (which is 98%, according to the US Postal Service). Yet despite it’s age, ubiquity and versatility, many practitioners haven’t embraced email in the same way their patients have. A 2015 Nielsen survey commissioned by the Council of Accountable Physician Practices and the Bipartisan Policy Center, the majority of health and medical providers in the US are still not using email to communicate with patients – in any form. Given the limited embrace email has had to date, it’s no wonder most practices are missing out on the benefits of using email to promote their practice. Maybe that’s even you and your practice. Regardless of where you land on the email adoption curve, what you must know about email is that it is an attractive option for marketing and promoting your practice. Email marketing is currently the easiest and least costly way for you to market yourself and your practice. It’s within the capability and costs of even the smallest practice to be utilizing email marketing methods. For those practice’s already willing to harness the full potential, email marketing can take numerous forms within your practice. From pre-appointment reminders to decrease no show rate, promotional newsletters to sell new services, to the sending post surgery information and recovery reminders to reinforce your instructions. Thanks to the ability for email communications that frequently occur to be easily automated by software systems, it has become an important communications channel for modern practice interested improving the patient experience – and practice efficiency. As the role of email continues to take an increasingly larger role in the patient journey, the best practices are taking full advantages of all the benefits email marketing has to offer. Let’s take a closer look at why your practice should be using email marketing. Besides the fact that it is quick, easy and patients use it? You know already that despite of its effectiveness and popularity with patients, not all practitioners have been quick to embrace email marketing campaigns within their practices, missing out a tremendous opportunity to better communicate with patients, improving the patient experience and their bottom line. But before any discussion as to why your health or medical practice should use email occurs, let’s first be pragmatic. Depending on your specialty, email may or may not be an effective marketing channel. For example, if you’re a chiropractor, dentist, dermatologist or therapist, where you see patients on a frequent basis (or numerous times over their lifespan), there’s no better marketing channel than email to keep them aware, engaged and returning to your practice. But if you’re an oncology or orthopedic surgeon, sending an email every month to your existing patients might not be the best use of your time and marketing budget. That’s why when you think of email marketing, you need think outside of the email newsletter. In order to harness the full potential of email as a marketing channel for your practice, you need to understand that the most powerful benefits of email marketing have little to do with its most well known form. Let’s take a look at why your practice should be using email marketing, starting with automating marketing communications and patient reminders for your practice. Regardless of your specialty or practice type, time is your biggest constraint. You never have enough of it. There’s always something new added to your list, causing something else to fall off it. Often times, it’s your marketing. Rest assured, with email marketing, time is not something that you should be worrying about. That’s because one of the benefits of email is that you can automate all sorts of internal and external communications to save time, improve efficiency and the patient experience. Today, software exists that allows you to automate all sorts of time-sucking communications tasks. You can also utilize email to alert you to certain events, such as when a new review was left on one of your online profiles. Patient appointment reminders, post visit review solicitations and surveys can all be automatically sent via email with low-cost, readily available software services. These types of emails are not always thought of as email marketing because they’re not promotional in nature, but in fact are major components of any practice’s email marketing efforts. A valuable feedback loop to improve both the patient experience and outcomes. You can use automated email sequences to showcase the various benefits of working with you to prospective patients, sent over the course of a few days prior to their appointment. This, combined with appointment reminders, are sure to decrease no-shows. You can even use automated email sequences for post-surgery or treatment instructions sent to patients at key post-treatment milestones. There’s no reason not to send an automated sequence of emails to patients that reinforces the verbal and written instructions they should be following. That’s one of the benefits of email automation. Once you create and setup the campaign (or software), they’ll run as long as you keep them on, freeing you up to focus on more of what you love – seeing patients. There are number of channels you could use when marketing your practice online. In a utopia, you could use all of them to drive your patient acquisition, improve your reputation and retention. That’s one of the biggest benefits of email marketing. It doesn’t cost a lot. In fact, in many cases, sending a monthly email newsletter to your patients could cost you nothing more than your time. Email is low cost for a number of reasons. First, quite simply, it’s pretty cheap to send digital information across the internet. Second, you already own the most important part (your patients email addresses). Third, with automation and templates, it requires less human effort over time. Email marketing is also a low cost way to complement or replace direct mail campaigns. This is because the most frequent use of email in practices mimics direct mailers – announcements, coupons, deals and offers are the core of effective direct mail. Sending emails to your existing (and potential) patients in a similar manner, or further reinforcing what you practice is already sending via direct mail, is a low cost way to generate awareness and engage them. You’re not the only one fighting for the attention of patients online. Your competitors are also interested in getting in front of your current and potential new patients on search and social. Search Google, what do you see? Ads. Scroll down your Facebook feed, what do you see? Ads. This is the same thing that patients see, all day, every day. Ads on ads on ads. No wonder it’s so hard to generate awareness for your practice and get the attention of potential new patients. This creates email’s biggest benefit – direct access. Email provides a direct communication channel to patients. An effective one-to-one vehicle that cuts through clutter advertising and marketing noise that patients are often confronted with when they search online or reach out for recommendation on social media. Since you already have the patient’s email address, you’ve overcome the two hardest parts of marketing; awareness and attention. The patient is already aware that you and your practice exist and they’ve given you permission to email them, so when an email from you hit their inbox, it’s likely to get their attention, immediately. Whether they take action or not will depend on your targeting, content and calls to action, something we will discuss later in this chapter. As we’ve touched on already, there are numerous ways to market your practice using email. The most common, of course, takes the form of a newsletter. The email newsletter has become – outside of individual patient communications – the poster child of email marketing within health and medical practices. It’s the most common form of email marketing there is. 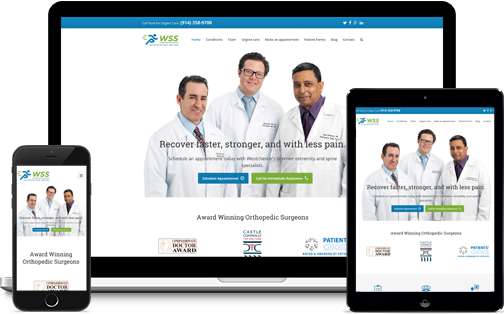 These email newsletters, sent en mass to current or prospective patients offer a direct channel to patients, giving you and your practice to educate, inform and of course, promote your practice. While email is quick and easy, email newsletters have one of three purposes, an important consideration before determining what you should be sending to patients, once you’ve come to a conclusion as to why you should be doing it in the first place. For all the complaints by health and medical practitioners about the likes of WebMD and other health information outlets, most practices would be well served to turn to email for educating their patients. Educational email newsletters, sent once per month or every three, offer an opportunity for you and the practice to update patients on current health trends that have hit the news, seasonal health related items and even more pointed information on new health concerns or threats in your area of expertise. The goal of educational emails is not to sell, but to educate your patients, however, the act of receiving the information from you and the practice aides in branding you as an expert and keeps you top of mind, should the patient have a need. Educational emails are an excellent way to keep your patient-base engaged, but there’s a lot of other information patients find relevant that you may not be sending them. Informational emails, typically sent on a more ad hoc basis, offer you and your practice the ability to make your patients aware of the important operational matters affecting their care. Whether that is announcing a new practitioner, unveiling new locations or updates to policies and procedures, informational email newsletters are an effective complement to offline communication strategies. The goal of these informational emails is to cut through all the other messages that patients get hit with every day, hopefully allowing them to keep up with the changes and growth of your practice. Last, but certainly not least, is the promotional newsletter. The most well known and heavily used of the three email newsletter amongst health and medical practices, promotional newsletters are your own private HSN or QVC. With promotional newsletters, you can showcase new products and services available at your practice, offer coupons, discounts and other deals. Despite their popularity, promotional newsletters also get the most scrutiny from practitioners and patients. As a result, the use of promotional email newsletters is not for every practice (I.E. most patients aren’t waiting to get a hip replacement until they see a 15% off coupon from their orthopedic surgeon). They should also be used sparingly, limited to once per month, unless patients have specifically asked to receive more than one promotional communication. After all, the goal of your promotional email efforts is to drive new patient visits and revenue – not lose them with an annoying deluge of promotional email messages. Email newsletters are the most well known and utilized form of email marketing. In reality, email newsletters are just the start when it comes to email marketing and your practice. Email can be used in a number of other ways to help market your practice in less obvious, but none the less important ways. Today, thanks to the very nature of the technology itself, software systems exist that leverage email to automate alerts and communications that are often forgotten or overlooked by practice staff. No-shows cost health care clinics billions each year. Worldwide studies concerning the prevalence of patient no-shows vary, but it’s estimated that between 15% to 30% of all patients never arrive to their appointment. While patients tend to slightly prefer text message appointment reminders, sending appointment reminder emails is an effective way to decrease patient no-shows and increase your bottom line. Software systems exist that can integrate with your existing EHR/EMR or scheduling system and send automated emails (and text messages) to patients ahead of appointments. A study by the Journal of Telemedicine and Telecare reported that patient no-shows were reduced by almost a third when automated patient reminder system was used. How much extra revenue does that add up to for you? Improving your bottom line isn’t only about ensuring all your patient show up. In order to grow your practice, you also need to ensure you have a sterling online reputation – as you’ve heard before. One way that you can help improve your online reputation is with automated patient review solicitations. Software exists that seamlessly integrate with your existing EHR/EMR or scheduling system and send automated emails to your patients after they visit your practice. While some practitioners may be concerned with the implications of proactively soliciting reviews on their public online profiles, technology can actually help to minimize your concerns. Some software, such as InboundMD and RepCheckup, use a two step process to first verify the patient had a positive experience and then urges them to leave a positive review on one of your review site profiles. Sending automated emails to patients soliciting a review will enhance your online reputation, ratings, reviews and help lower the potential impact of negative reviews that inevitably occur. Email can be used to improve more than just your bottom line – it can also be used to keep a pulse on the patient experience at your practice. Utilizing email, you can create an automated patient experience feedback process. Sending automated patient experience and satisfaction surveys allows you to highlights what you practice is doing well and where it needs to improve. This creates a perfect feedback loop for practitioners, practice managers and staff, allowing for positive changes to surface more quickly. Similar to patient reminders and review solicitations, software exists that integrates directly with your EHR/EMR that once configured makes this simple to operate. With the move towards a value-based health care system, this makes soliciting this information an important part of maximizing the bottom line. Some use cases of email marketing may be new to you, but most are no longer cutting edge. 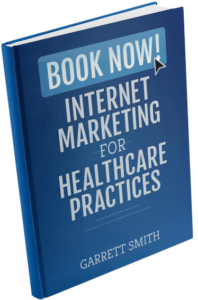 In reality, most of the email marketing strategies and tactics described have been used by health and medical practices for more than a decade. There is one emerging area of email marketing that not all practitioners have harnessed. That’s drip marketing. What is drip marketing? Drip marketing refers to a campaign that features an automated sequence of pre-written emails on a particular subject or tactic sent over a period of time to an interested person. For example, let’s say you’re a reproductive endocrinologist and your fertility clinic is having trouble getting prospective patients who requested an appointment online to actually schedule an appointment. You can use a drip marketing campaign to send an automated sequence of emails sent to patients who requested, but have not yet schedule an appointment. These emails would focus on introducing you and the practice, detail what patients can expect when coming to the clinic, information about your success rates and even offers up stories from actual patients you’ve helped, all with the goal of motivating the patient to take the next step and schedule time to see you. This is also an effective way to maximize your front office staff’s efforts when it comes to booking new patient appointments. With a drip campaign in place, you can reduce the time your front office staff might be spending calling or emailing patients back manually (let alone whether or not they remember to do it, with all the other things on their plate). Another example of drip marketing would involve an automated sequence of emails sent post-procedure or treatment reinforcing the recovery instructions and or plan. This is an effective way for say, orthopedic surgeons, orthodontists and physical therapists to complement in-clinic and take-home reference materials. In this scenario, the patient would receive an email at corresponding points in the recovery process, say once per week for the entire six week recovery period, reinforcing rehabilitation and or rest protocols. You could also include generalized information about how the patient should feel or their approximate range of motion, with a note to call the clinic if that’s not the case. As is true with all the other methods outlined above, software does exist to help you implement drip marketing campaigns, you should be advised that drip marketing campaigns tend to be more involved (and time consuming) than other methods of email marketing. You might better off bring in an outside expert. Hopefully by now you’re excited to begin or expand your current email marketing efforts. There’s a lot of value in using email marketing and you should be using it to market your practice. It’s now time to put this all into play. Before you roll up your sleeves or jump in the deep end, here’s a PSA: email marketing is part art and part science. This means there’s a lot of nuance when it comes to what constitutes effective usage. You might think you’re “doing it right,” but you could be “doing it all wrong,” just as easily. Regardless of where you’re at with your email marketing efforts, here’s some Do’s and Don’ts to help guide your success. You’ll never reach a patient via email if their email is incorrect. You also won’t win any friends calling Frank, “Hank.” If you’re going to effectively use email marketing, you will need to make sure your email list and patient data is accurate and correct. Even if it means frequent, manual review. This is especially true if you’re using code in your email templates that calls information (I.E. first name) directly from your email list. While the majority of patients use email daily, not all of them want to hear from you via email. It may seem like common sense, but it’s often missed by many health and medical practitioners that a patient never gave permission to receive an email communication. Prior to sending any email, make sure you’ve received permission. A great way to do this is to add a small section to your intake forms outlining their communications preferences. The email subject is the first thing a patient will read and thus plays an important role in whether the rest of the message will be read. For those patients who receive a high volume of emails already, it will also help you stick out from everything else they receive that day. Strive to be as concise as possible while remaining descriptive about the rest of the email contents. As mentioned above, you can often insert code that allows you to pull particular data about a patient and insert it into the email. This type of personalization aides in improving the overall feel of the email by helping to humanize the communication. After all, patients, as people, ultimately want to hear from another person, not a machine. Personalizing your emails can help you achieve this, while still getting help from the machines. Your email marketing efforts will only be successful if you have clear a call to action for patients to take when receiving your communication. Your calls to action should be simple, such as “Schedule an Appointment Now” for a new service or “Buy Now” if you’re featuring a new product available to patients. When in doubt, it’s better to be direct than creative when it comes to your calls to action. As we’ve discussed and touched upon a number of times, patients are using their mobile phones more and more with every passing day. This makes designing (and writing) for mobile, an important “do” when it comes to email marketing. Ensuring that your email templates are optimized for mobile (make sure your check before sending) and that you’re using brevity with your wording (without sacrificing understanding) are two effective ways to make sure patients on the go will click on your message. While many patients do want to receive your emails, sometimes they decide they don’t. That’s why it’s critical, well, actually legally required in order to comply with CAN-SPAM ACT to include a link to unsubscribe to every bulk communication sent to a patient (regardless of whether or not they originally opted-in to the communication). Also, be prepared for patients who want to unsubscribe, but don’t use the unsubscribe link. Frustrating, but it happens. Pro Tip: Offer patients the ability to choose which emails they receive. Often times patients feel overwhelmed by the number of commercial messages they receive, but still want to get your educational newsletters. Offering them to ability, upon sign-up and unsubscribe, to choose which communications they wish to receive is a great way to keep your patient email list growing. It may seem like a no brainer, but we witness email misfires all the time. You should always send out a test email prior to sending. In fact, we recommend that you send your test out to a few people, even those outside your own practice, prior to the final sending in order to find errors and issues. At a minimum, get three different sets of eyes to review your email, there’s always better than one. When it comes to sending bulk or mass email messages to your patients, never use the CC or BCC fields. This is the whole entire reason email marketing software exists – your email recipients hate receiving these types of communications. Especially if their email is exposed to others and in the wrong hands, could become a HIPAA violation for you and the practice. Remember, you’re not the only professional reading about sending email to consumers. Patients are consumers and are likely getting emails from many different service providers through the day, week and month. Many may get email fatigue, so from both a branding and effectiveness standpoint, avoid sending more than one email per week. This might even be too much, as for most practices just one email per month can deliver great results. As with all of the information you distribute online, when it comes to email marketing, you have to be careful as what you send to patients. To be safe, ensure that any bulk or mass email messaging does not contain specific medical advice or any claims that could be in violation of the law. It’s probably not necessary to involve your lawyer for every message, but keeping this top of mind as your create them will help keep you safe. This a big one and half the reason we started the Don’ts with, “Do not send marketing emails using cc or bcc fields”. When it comes to email marketing, you have to protect PHI, so unless you’ve gotten written permission, never mention or reference a patient, their condition or treatment in your emails. If you’re unsure, stay on the safe side of things. Consult your lawyer and or don’t do it. Next to accidentally or inadvertently revealing PHI, a data breach that would expose patient information to world should be sure next biggest concern. This means you do not forget HIPAA compliance by ensuring your email marketing service complies with the standard. Have them sign a BAA, if you can. Sure, email is one of the easier and more effective channels there are for marketing your practice, but that doesn’t mean your efforts don’t need to be optimized over time. As you implement and grow your usage of email marketing, make sure to take the time after each campaign to review the result of the campaign. Understanding your open, click through and conversion rates will allow you to tweak future campaigns, maximizing your results. Email newsletters can take all shapes and sizes, use different colors and different fonts. Yet almost every well produced, effective, email newsletter is made-up of the same parts. These parts may seem mundane at first blush or items that you’re already know about. However, it’s worth revisiting them, since a routine checkup (of your body or knowledge) is never a bad thing. As the name suggest, the “From” field is used to show the email recipient who is sending the email. As we suggested earlier with personalization, you should make sure the name used is a person’s name – not the practice. Remember, patients are people and people want to interact with people. If the “From” field and “Subject Line” are a taste of what’s to come, the body is the main course. The body of your email should contain a number of items, from compelling headers to calls to action. Depending on the type of newsletter you’re sending, the body elements may change. The important part is to remember your audience and the action you want them to take. In our face-paced, always on the scroll, headers help make sure your message sticks (or at least keeps patients scrolling down for more). Your email newsletter should have at least one compelling header, often used as the lead-in that serves as an overview of the email’s contents. If you’re covering a lot of ground, it’s okay to have multiple headers to break-up sections of content. The contents of your email can take many different forms. It could be text, images, video, even a gif. What’s important to remember about content is that brevity is key, especially since your email has a high chance of being seen on a mobile phone. Try to avoid long paragraphs and sentences, which often make things tough to read, in favor of paragraphs of two to three sentences and bulleted lists. After the email content comes the footer, where you’ll often find social sharing buttons, links and contact information for the practice. It’s best not to get to fancy with the footer and stick to the basics. After all, we want patients clicking a link in the content, so they don’t even see the footer! The unsubscribe link, mandatory for all bulk or mass email communications to patients, is also found in the footer. Make sure each of your email campaigns has an unsubscribe link, there’s no more to it than that. The last, but certainly not least, important part of an email newsletter is the social sharing buttons or links. Depending on your specialty, patients may be willing to share your educational and or promotional newsletters with their friends and families on social networks, furthering your reach. Including links to promote the newsletter via major social networks should be a part of every email campaign you send. Ah! We’re here. Putting it all together. If your practice is already sending email newsletters to patients, this last section might be overkill for you, but it could also serve as a refresher or offer new ideas to enhance your existing efforts. Here’s how you can go about successful creating an email marketing campaign for your practice – in any of the forms we’ve covered so far. It may be you, it might be your practice manager or you may even be your in-house marketer, but in order to be successful with email marketing, there needs to be a point person. Even if you outsource your production to agency or freelancer. You won’t be able to take advantage of the benefits of email personalization or even reach the patient for that matter if you have poor data. Before you get started, make sure you spend some time to scrub your data so it’s accurate and clean. Email marketing is not a one time event. It’s something that needs to be done consistently in order to stay top mind with patients and ensure high engagement when you send your message. Creating a content calendar – whether it’s for the next three month or 12, is a great way to organize and plan out your efforts. With good data and a plan in place, you can now select an email marketing software, to power your campaign. There are dozens of major providers, all of which offer free accounts to those with a low number of emails in their list. You should checkout a few, but MailChimp is a great one to start with. Now that you’ve got your email marketing software up and running, it’s time to write out your email newsletter. Creating the content for the email before you move to designing and building the newsletter will save you time and allow the design to fit the message – not the other way around. Once you’re happy with your content, you can mock it up using your email marketing software. Your email marketing tool should have plenty of tools to make it look pretty – from pre-existing templates you can copy / paste directly from to more barebones options for those who want to have a go at doing it themselves. You should never forget to send a test version – or two or three. It’s very easy to overlook a mistake made, so having a few more eyes inspect your work helps ensure the best product. Misspellings and broken links are the two most commonly found errors with email newsletters, so pay the most attention to these areas. With your final draft loaded in your email marketing, it’s time to hit send. But do give it some thought beforehand. Most email marketing softwares allow you to schedule your emails to be sent at a specific date and time. Take advantage of this functionality, because sending it right after you finish it Saturday night at 1am isn’t likely to bring you the best results. Speaking of results, don’t forget to review them! About a week or so after your first sent your campaign, set aside 15 – 30 minutes to review the results. Pay attention to open, click through and conversion rate. If you’re selling a product directly, you can also check out the revenue generated from the campaign. Use what you learn during your review to improve your future campaigns or as part of more advanced A/B split testing efforts, once you get more advanced with your email marketing efforts. As you’ve now seen, email marketing is the easiest and most cost effective way to market yourself and your practice. Even if it’s just you. Whether you decide to stick with the basics and only send one email to patients a month or you decide to fully embrace email marketing and have patients receiving them through every step of their journey with you, there’s no denying that every practice should be using it.